Remember that beautiful Chronic that I showed you yesterday? 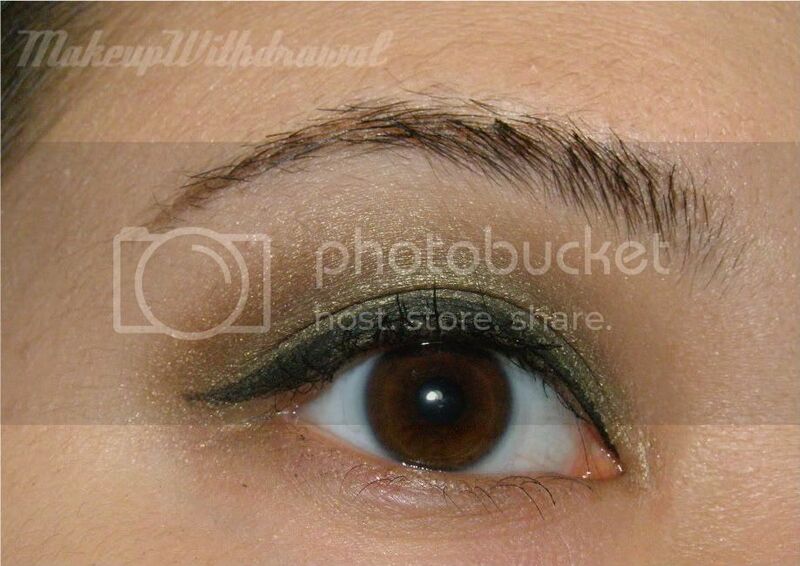 I decided to use it this morning for my EOTD. I paired it with tans and browns to really bring out the olive, rather than it looking kinda mucky khaki which happens when I pair it with brighter greens. Nothing fancy. My eye looks kinda mean and shocked though, like my camera was threatening my face or something.